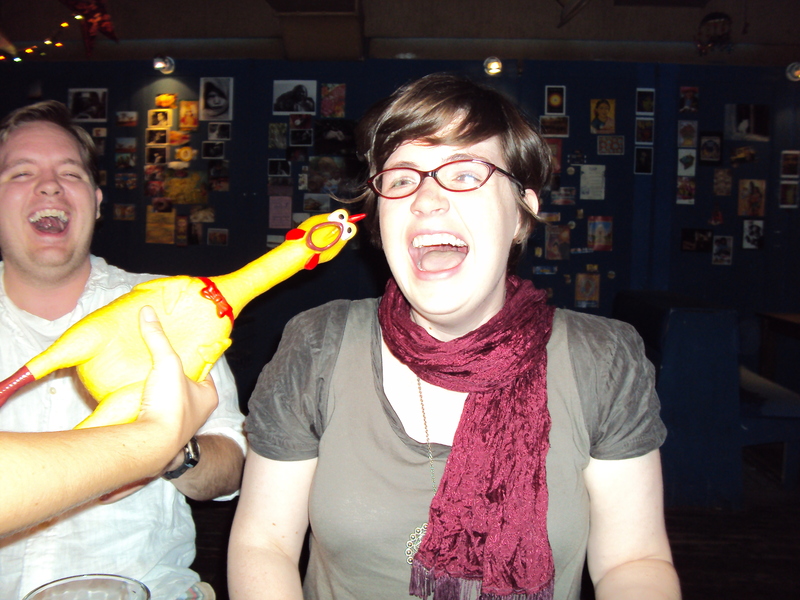 If any of my former students read this post, they will be mortified. The day before we finally left Korea after two years. I had only just gotten over the jetlag. 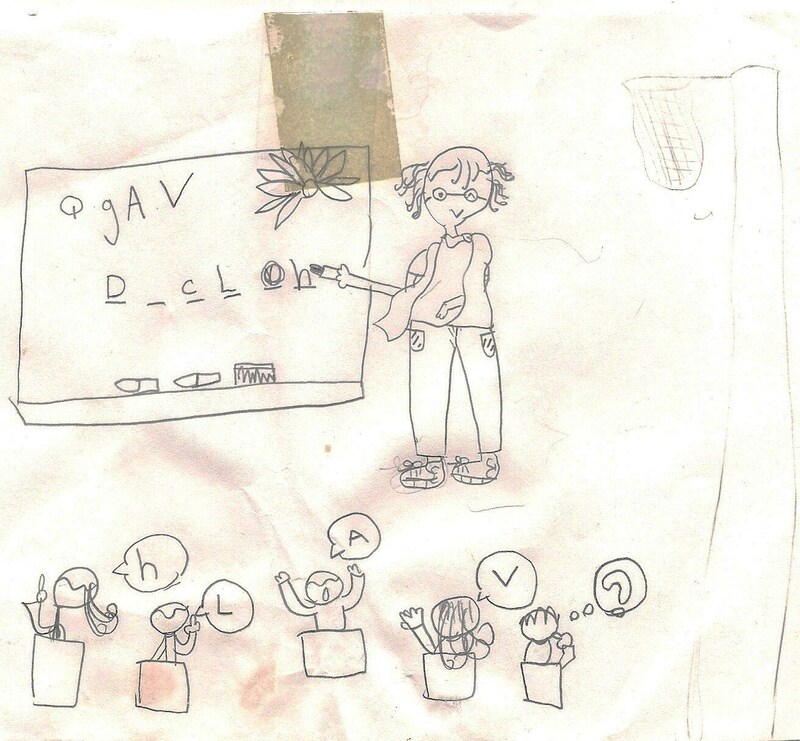 Luckily, we also have a big box of notes and art that kids gave us that helps us remember those old days. And today is sharing day! Kids were always drawing pictures of me. We weren’t allowed to play Hangman because according to the parents, it was too brutal and violent, so instead we played Petal Drop. I’d like to know what word I’m spelling on the board. I’d also like to know why I’m apparently teaching a class of jack-in-the-boxes. The child in the right corner is perplexed as well. Just to clarify, I haven’t worn a vest since I was in sixth grade, thank God. That is a scarf (or sling?) I am wearing in the picture. 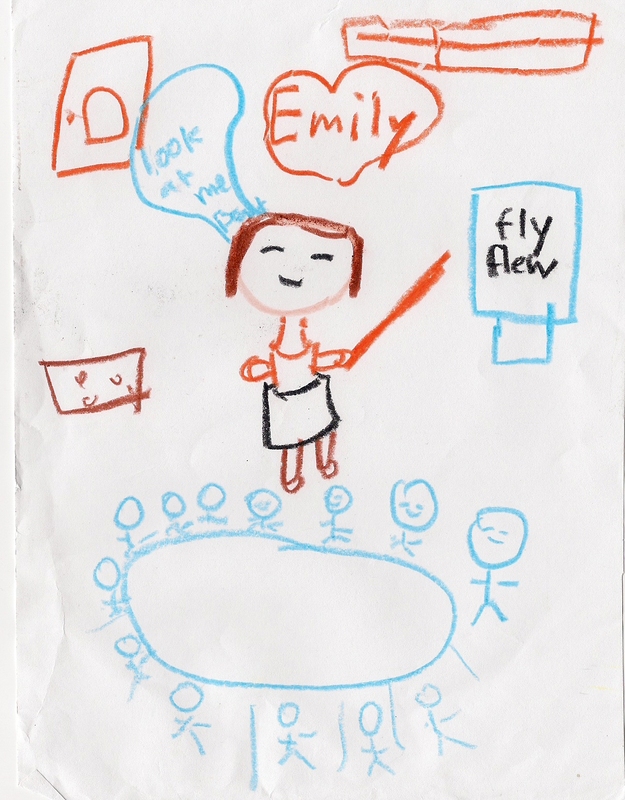 Of all the things my student Leewon (age six) could have put in my conversation bubble, she chose “Look at me, please.” Wow, way to make me look dictatorial. Perhaps if they don’t give me 100% of their attention, I will slap them with my wooden baton. Those four kids who aren’t looking at me have it coming. Hell hath no fury. B wants me to mention that he thinks that the idea behind that last line is that since teaching is a service rather than a item, it is technically “nothing.” Right. Michelle is just a young Korean Chelsea Handler. Judging by Joe’s own handwriting (he was seven), I take that compliment extremely seriously. The older kids didn’t make stuff for us as often. They were too busy playing Starcraft in their spare time. 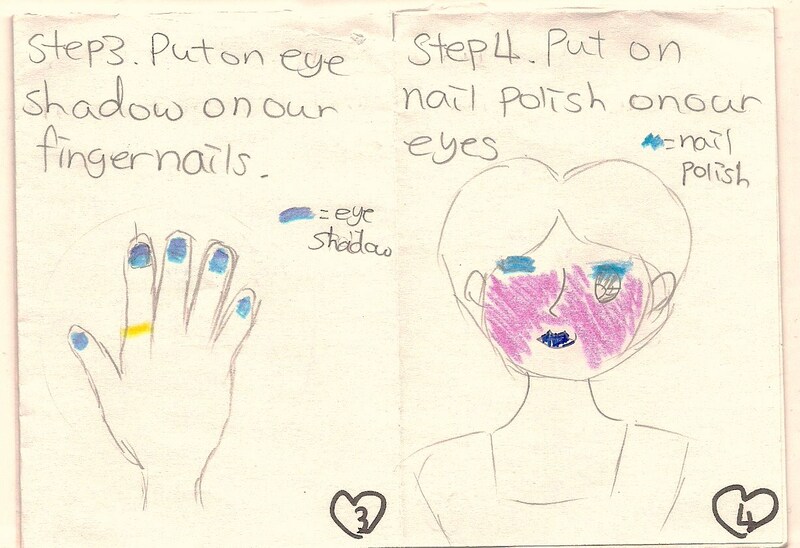 Therefore, when Scarlett – a nine year old who had been learning English since she was four – showed me this booklet she had made just for fun, I had to trade her a book of stickers in order to get her to give it to me permanently. 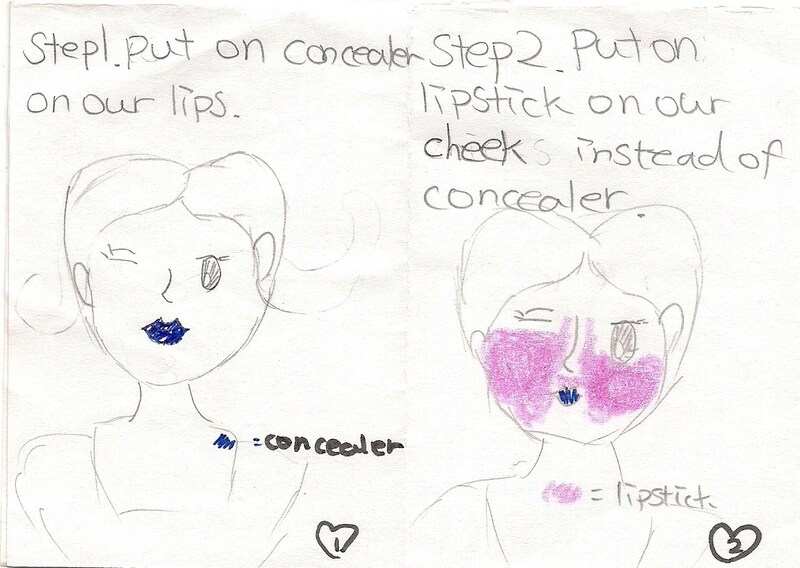 Have you ever wanted a handy instruction book on how to put on silly makeup? Here you go. You can thank me later. Step four results in blindness, FYI. I’ve never been to a real ball. My life is not complete. Fainting very hard should be avoided by all means necessary. And this, my friends, is why we teach. It seems that since I changed my web address, everyone is still subscribed but updates of new posts may not appear in your WordPress feed. Pooh. Well, it is a free service so I guess you get what you pay for. The best way I’ve found of fixing this is to unsubscribe and then resubscribe. 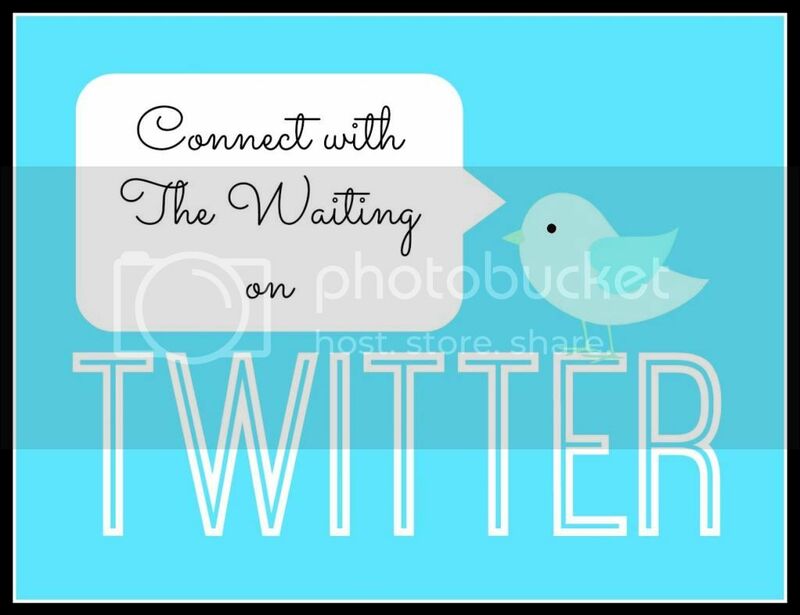 Updates should then appear in your feed. Thanks for bearing with me through this small change! Thanks! I’m sorry to say it, but the guy in step 6 is really quite an acccurate depiction of what young men in Korea look like: finey coiffed hair and no lips. Damn. My worldwide potential dating pool keeps shrinking and shrinking… I imagine they might generally be short as well, so that’s three strikes. They are short by Western standards, but the younger generations are taller than you might imagine. The Korean friends I had attributed this to the widespread introduction of milk to their diets as children. Could be. My mom has done that too! And it does work unless you wear tomato red lipstick. Dang WordPress stopped notifying me of your posts :( I think I fixed it though. Sorry I’ve been MIA on your turf lately. Thanks! It did take awhile, thanks for noticing. 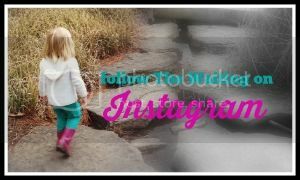 Nowadays with the baby it takes me all week to put just two posts together and respond to the comments. This was so funny! I love the art work. Something tells me they loved their teacher even though you kept them in little jack in the boxes. Haha! Thanks! Their artwork is my treasure. Whenever I need a laugh I go through it. 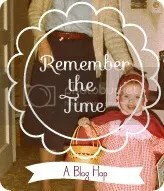 Writing this post was really fun! 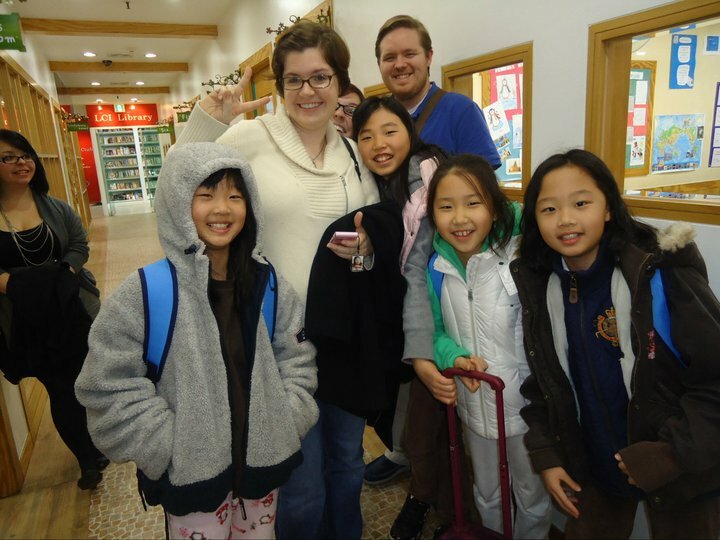 Oh MY GOSH you just made my heart ache for Korea and teaching! Ahhhhh. So cute and precious and I love your witty comments – especially the line about wearing a vest since 6th grade and teaching jack-in-the boxes, lol! Oh me, my heart aches daily for Korea. Except for the lack of good, inexpensive cheese. That part I don’t miss. Thanks, Brigitte! It was a huge opportunity that enriched our lives tremendously. Miss it so much. Loved it! 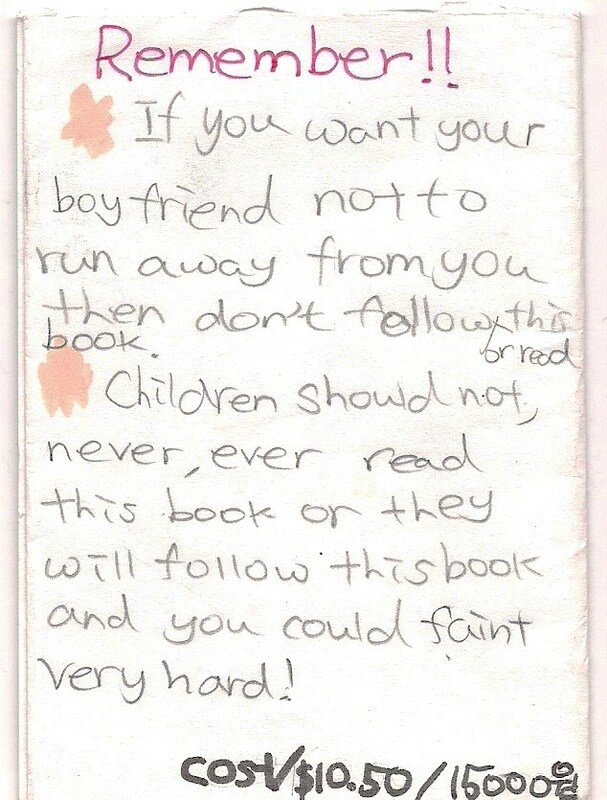 I have a book of advice my students gave me on the last day of my student teaching. I may never have a classroom of my own, but I will ALWAYS have that book. On the last day of school, my kindergarten class parents pooled together and got me a lacquered box filled with letters from every student. I don’t need to tell you that I shed tears when I went through it. I am so glad I decided to eat lunch at my desk and catch up on my Emily happenings. I LOVE the note to Ben. So funny. Aidan, thanks for including me in your lunch! We aim to please. So the students love their teacher… And they seemed to have had a great time in class… And. Well. Great. Korea sounds so interesting. I’d love to see what the countryside there is like. It doesn’t seem to have caught on as a holiday destination for some reason. The country there is quite pretty. As much as I loved living there, I can see why it hasn’t caught on as a tourist spot. We used to joke with our friends that there isn’t an awful lot to see in Korea. I know some people would really disagree with me on this one, but if you’re going to go on vacation to somewhere in Asia, you should probably go to Japan or China. A lot of the old architecture and relics in Korea were destroyed during the war. Oh, that’s interesting. I’ve been to China twice but only in the Beijing area. Yunnan Province always sounds fun. Wow! Scarlett is a better speller than most of the kids I know who are native speakers! I think “Thanks for nothing” is my very favorite line of all! Scarlett’s English was extremely good. She was an absolute card too. I could actually write an entire post on her alone. She once asked me why I had a tiny hole in my shirt because I was a grownup and should have clothes that weren’t falling apart. And people think kids don’t notice anything. Wow, those are all fabulos! Such fun keepsakes. My brother is in Korea right now teaching English. He is having a great time! I guess the new blog address fits well and can be permanent. I hear the hardest part never ends. Books like this always make a gal blush. Whenever I want to really win a girl over I always do something crafty like this. Shhh don’t give away my secret. That was the idea. And it is so true; the hardest part NEVER ends. I know I would be easily wooed by instructional booklets! UM. This is the best collection of drawings ever. And your new address is duly noted in my blogroll, dear! Thank you! I have a whole box of them, so I may have to make this a regular feature! These are such precious keepsakes and really made me laugh, but they’re nothing compared to the artwork and letters you’ll get from Miss C. You have a LOT of laughs and fun ahead–the Korean children’s observations will seem mild someday. Better stock up on totes now! Oh, I am so on it! I cannot wait until she starts talking. Thanks, Willow! What a fabulous collection of kidstuff! And, um, thanks for everything!! 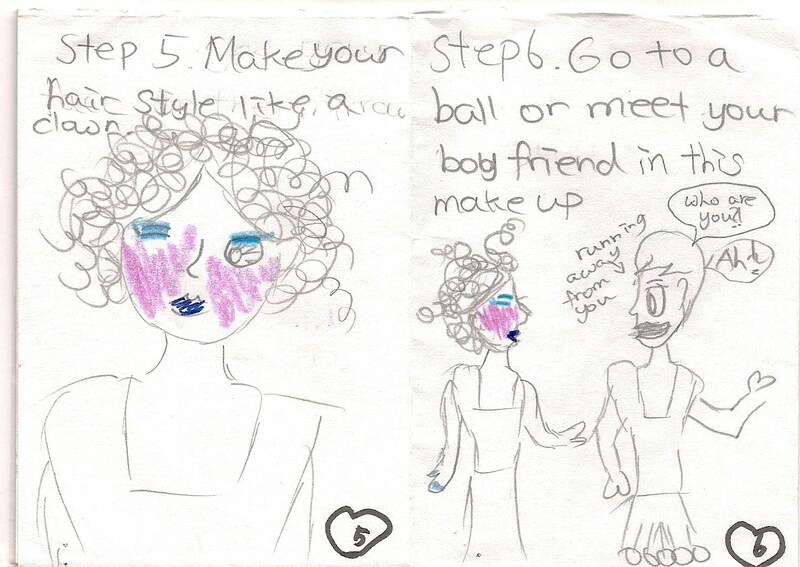 Thanks for the make up tips. I’ll just go do a trial run. 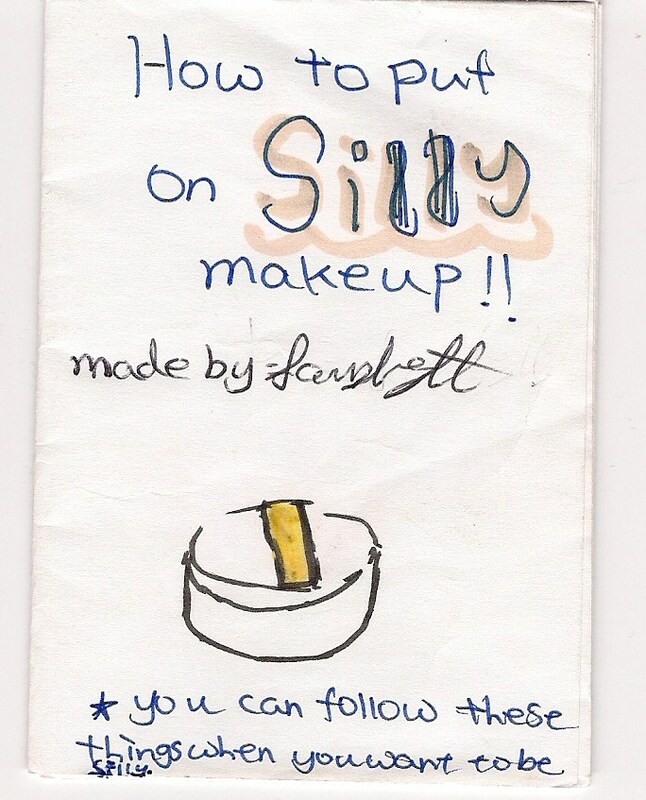 “How to Put on Silly Make-Up” was an instant classic. I loved teaching those kids. Indeed. They were the best.